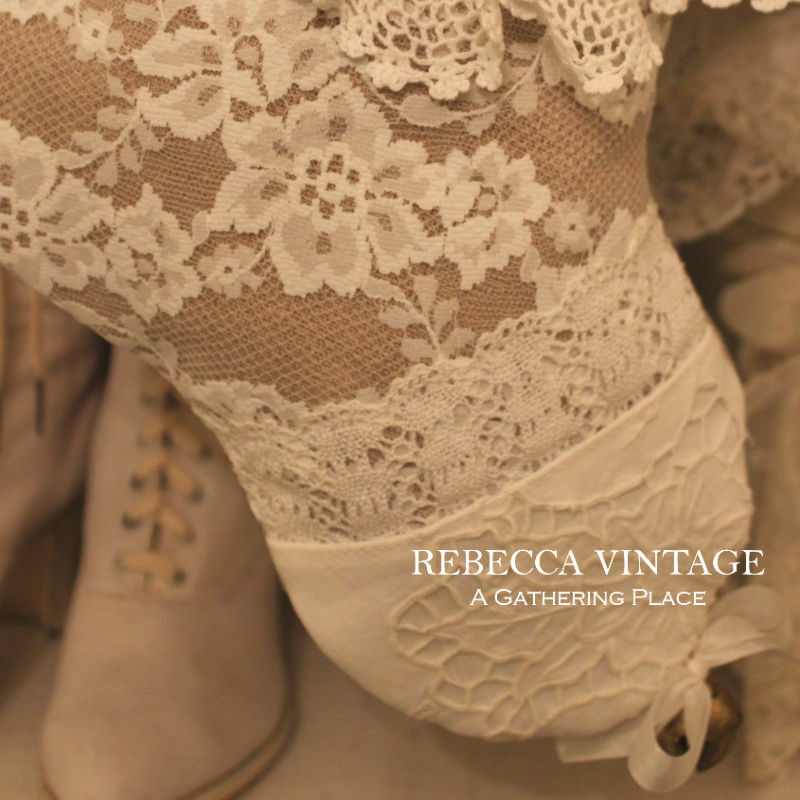 Welcome to A GATHERING PLACE (Rebecca Vintage is our local Shoppe(s) name) and our 2017 Christmas Stocking offerings! Starting today we will begin to upload some of our latest Christmas Stocking designs! Thank you so much for being patient with me after one incredibly hectic year! We now have two local booth spaces and tending to them has taken most of my focus this year! Here we go.... I'm so excited! 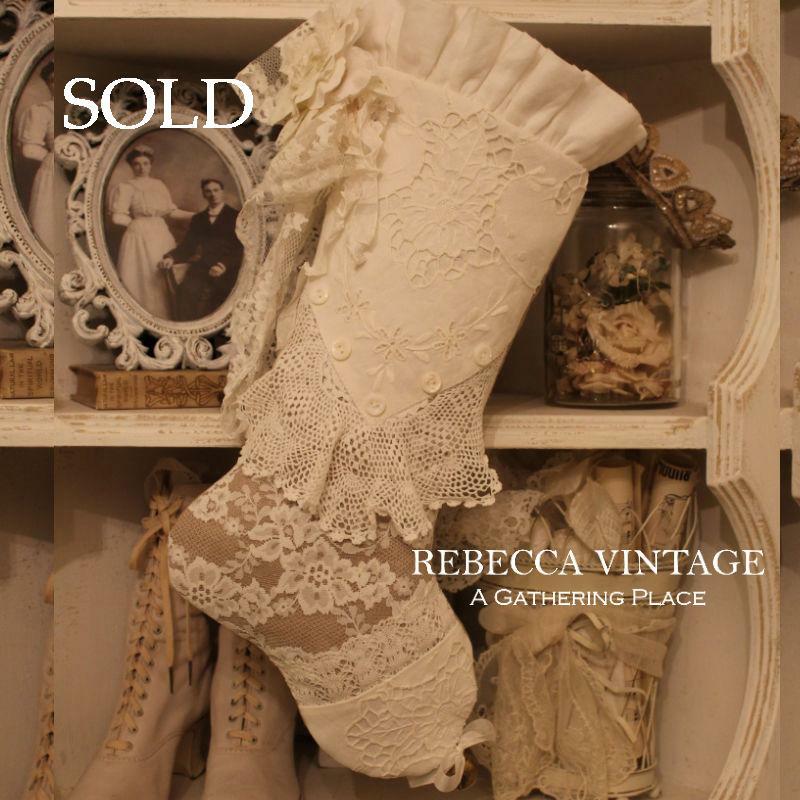 A pretty natural linen (light tan/taupe) Christmas Stocking layered in older net lace and complemented with lovely vintage trims and aging finds. At the toe is a sweet patch of vintage embroidered white cut-work cotton while the upper front showcases a remnant salvaged from the same lovely old cloth. 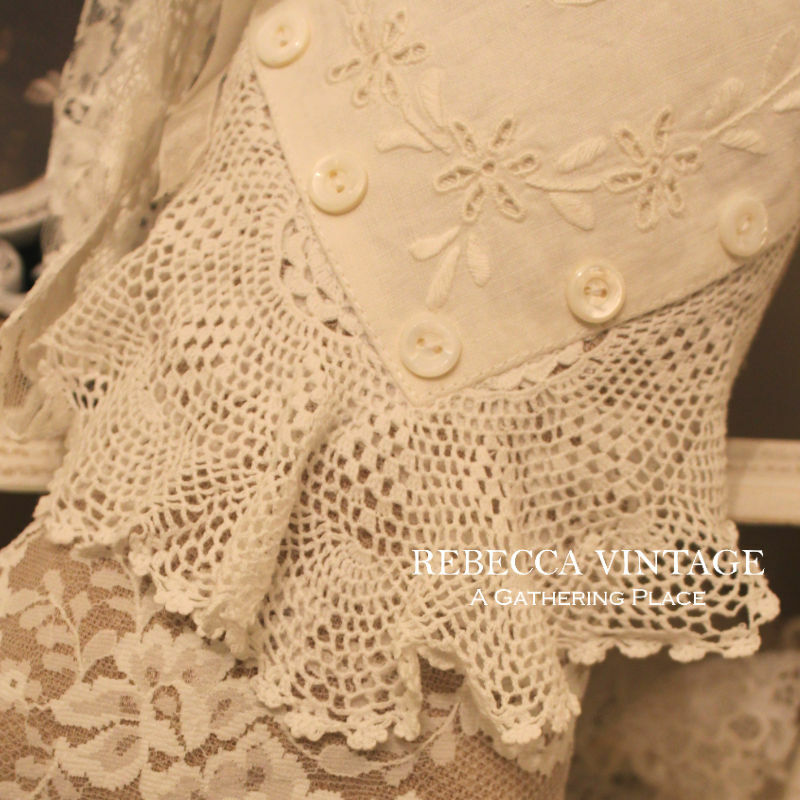 Edged with hand crocheted lace and dotted with five old shell buttons. 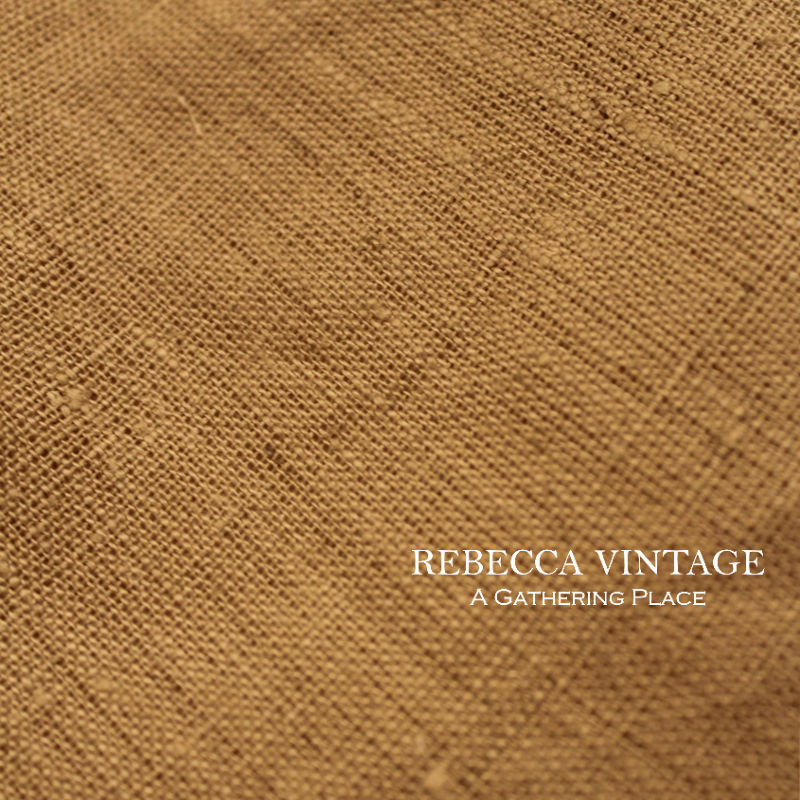 The Stocking comes with a petite ruffle of soft white linen with the back the same linen found on the front. 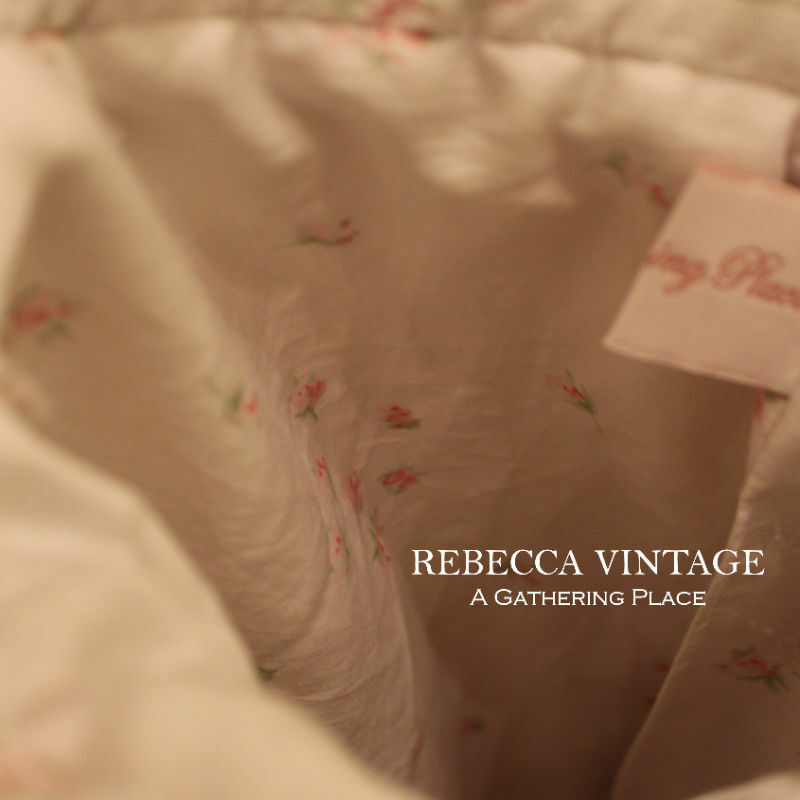 Lined with a petite pink rose cotton upon a white ground. For a bit of Christmas jingle there is a brass bell at the toe! 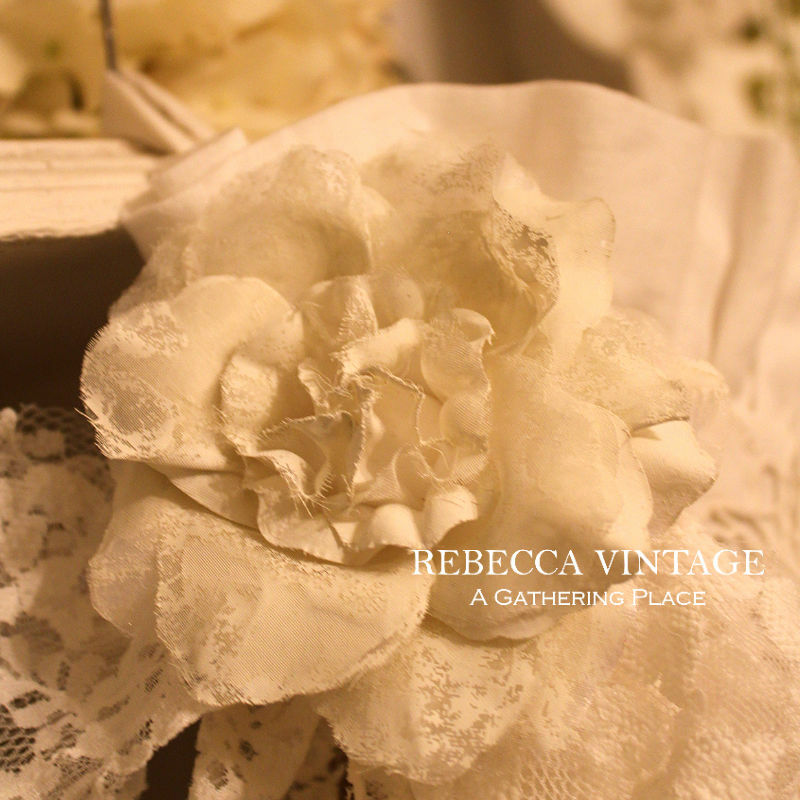 The highlight of this sure-to-be-keepsake is the removable painted white rose and lace and tattered ribbon attached to the left side. About 7" x 18" including the flirty ruffle. Custom label. Spot clean only. Happy to combine your purchases. We will gladly refund your shipping overage once we know the final cost of your postal charges. Thank you again!